Autism is a lifelong medical condition that can impact on how a person perceives and interacts with their environment. The severity of this medical condition varies from individual to individual, and is often associated with learning difficulties. Within Australia the prevalence of Autism is also increasing. Autism can impede on an individual’s ability to complete everyday tasks such as school or work, socialising and driving. The aim of this article is to provide information about the process of obtaining a driver’s licence for people who have this medical condition. Firstly, current research states that 3 in 4 teenagers with Autism (who do not have an intellectual or learning difficulty) will successfully obtain their driver’s licence. Research does state, however, that these individuals generally take 7-9 months longer than the general population to obtain their licence. Driving is one of the most complex activities that we frequently do. Once the goal of driving has been established, the first step is declaring that the individual has autism to the Road and Maritime Services (RMS). It is recommended that the person and their family have a discussion with the treating doctor about the decision to commence driving. The Doctor will then complete an RMS Medical Fitness to Drive Form which will be submitted to the RMS. The purpose of the form is to inform the RMS of the person’s condition and for the doctor to convey to the RMS the person’s fitness to drive. 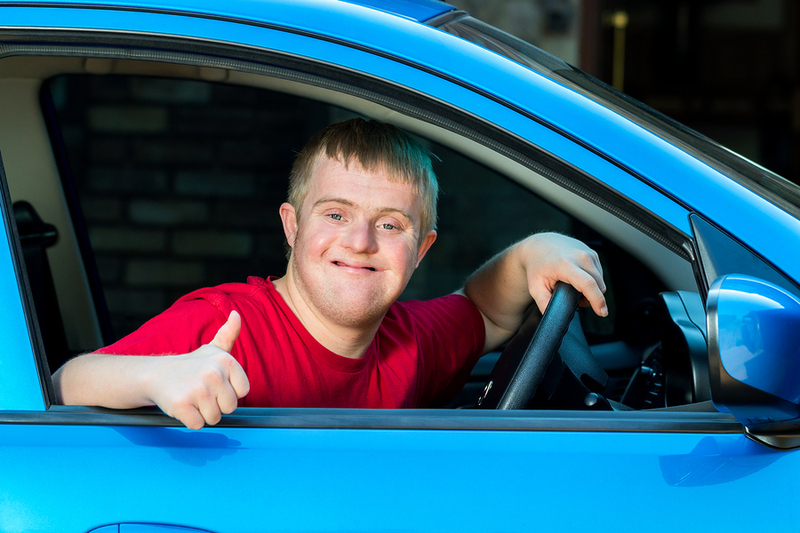 If the doctor is of the opinion that the person is fit to drive and that the diagnosis of Autism will not impact on their ability to drive, then the doctor will tick the box indicating that the person is fit to drive or commence driving lessons. On the other hand, if the doctor is of the opinion that the person is not safe to drive then they will indicate on the form. This will then mean that the person is medically not fit to drive and the person will not be able to obtain their learner’s licence. As Autism impacts people differently, it can vary in severity and can be unpredictable in nature, the doctor may state on the medical form that the person needs further testing to determine fitness to drive. In this case, the person will need to complete an Occupational Therapy Driving Assessment. The aim of the Occupational Therapy Driving Assessment is to fully determine if or how the diagnosis of Autism affects driving, and outline a specific lesson plan for Learner drivers. The assessment also may aim to determine if the person is medically fit to have a licence. If the Occupational Therapist feels that the person requires a specialised lesson plan to improve their driving skills, the use of rehabilitation driving instructors will be involved in this process. Rehabilitation driving instructors have a background in health and primarily work with people who have medical conditions. This better equips them to teach people who have Autism and other cognitive or developmental conditions. Regardless of what option the doctor selects regarding fitness to drive, the first step is to make this important decision a collaborative one that involves the individual, their family and health relevant professionals. As driving is one of the leading causes of death for people in Australia, it is important that all individuals who obtain their driver’s licence are physically and cognitively fit to drive.